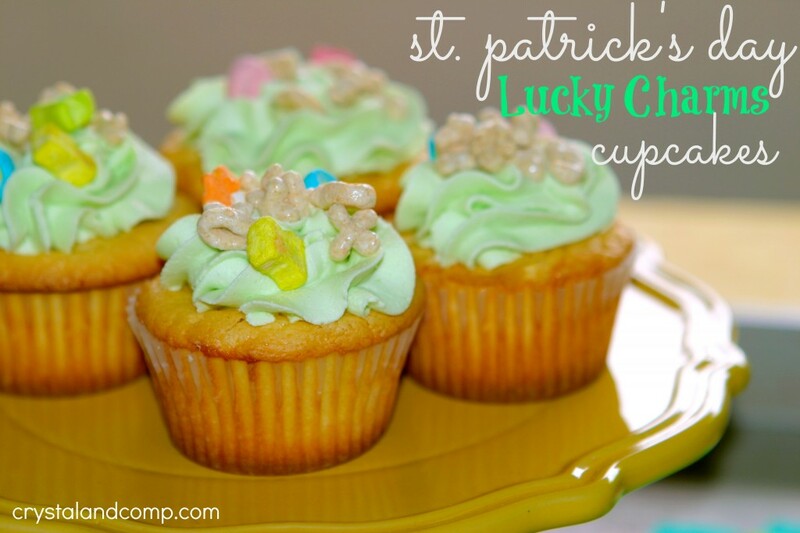 I adore the simplicity of these yummy St. Patrick’s Day Lucky Charm Cupcakes. My kids and husband loved them. We shared them with my friend’s son for his birthday. I hear they were addicting. These are perfect for a St Patrick Day party and would pair perfectly with green punch which I share a recipe for at the end of this post. Let me show you how easy they are to make. Make your favorite cupcake recipe and let them cool. Take your batch of homemade buttercream icing and add the Duncan Hines Frosting Creations mix in. This one was flavored Key Lime. You just mix it in to the icing until it is well blended. It turns the icing green. 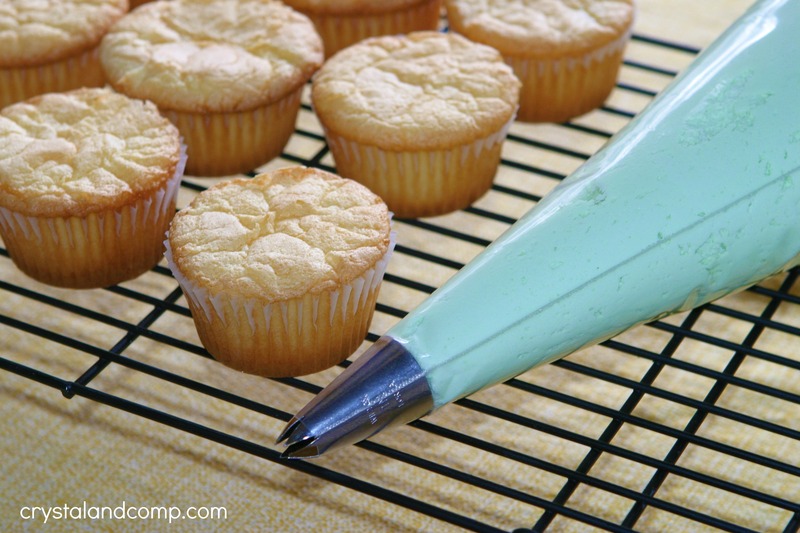 Grab an icing decorating bag and add a pastry tip to it. 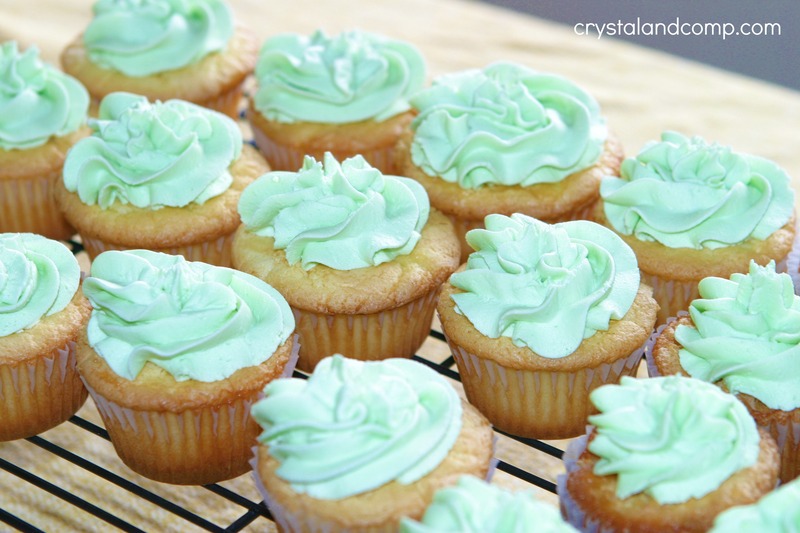 Fill an bag with the green buttercream icing. Pipe icing onto the cupcakes. 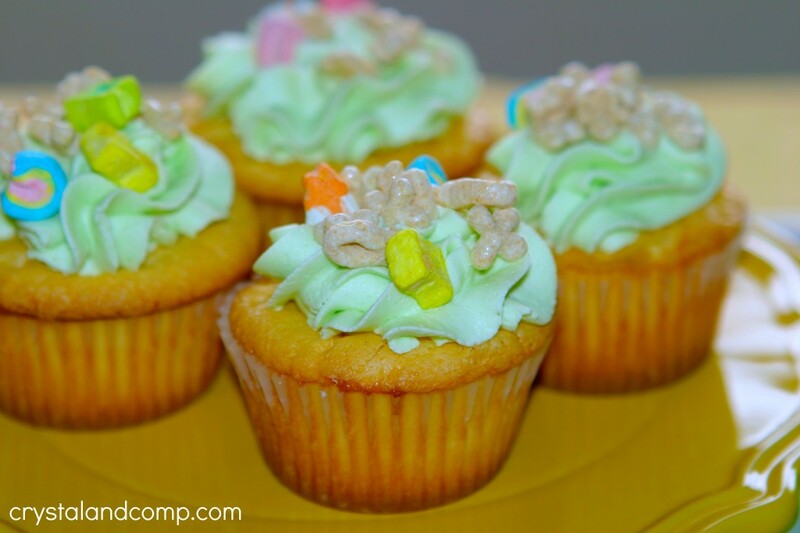 Then I add a handful of Lucky Charms cereal to the top of each cupcake. It was as simple as that! We loved them. I know the chocolate buttercream icing is your fav, but this was fun for the occasion. I hope Sean liked the “recycled cupcakes” (wink). Those are really cute! I also use that cupcake recipe and it’s awesome. They make the creamiest, most moist cupcakes ever! I’ll never make them without cream cheese again! Thank Julie! That recipe has been my go-to for years and it never fails me! I need to get a bag so that I can pipe frosting to look pretty like this. Love them! Esther- piping your own icing is super easy. Promise! 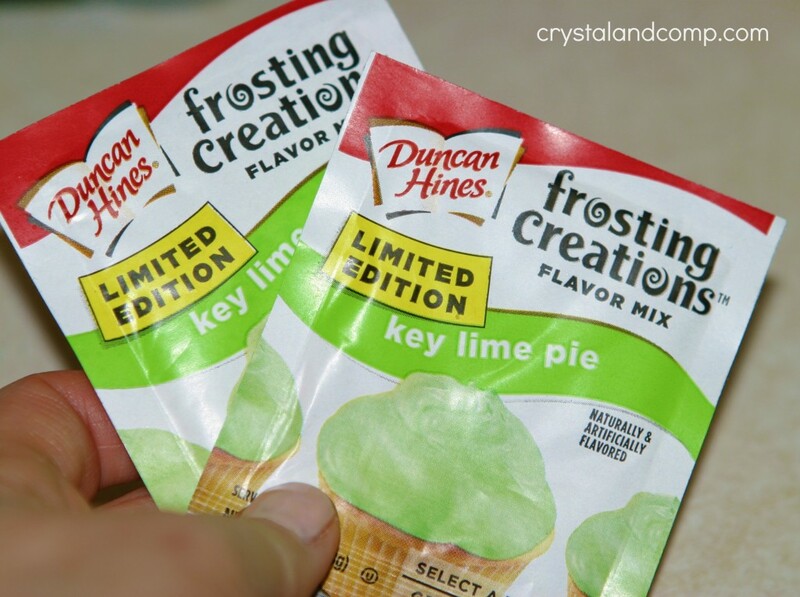 I will be looking for this product, I just love Key Lime. These cupcakes look so delicious! Have a great St. Patrick’s Day and thank you so much for sharing with Full Plate Thursday! Yum! Lucky Charms are a great idea! Thanks for linking up at Made in a Day last week! It made them fun, right? Great Cupcakes Crystal! Thank you so much for sharing with Full Plate Thursday and have a great weekend. I love this idea for st.paddies day! Adding the lucky charms to the top is the perfect touch! Thanks for sharing and thanks for linking up with us at Tell Me About It Tuesday! I hope you hop over again next week. I have also pinned them to our WW Board!! What a fun idea! My little one would love to help make them too. Thanks for sharing at Throwback Thursday! I love hearing about some of these new products and it’s so cool it can go in your frosting! The cupcakes are darling! Thanks for bringing this by Throwback Thursday!